In the previous iron palm article we talked about the rationale for hand conditioning in the context of martial arts and some commonalities in different styles approach to developing the ‘Iron hand‘. 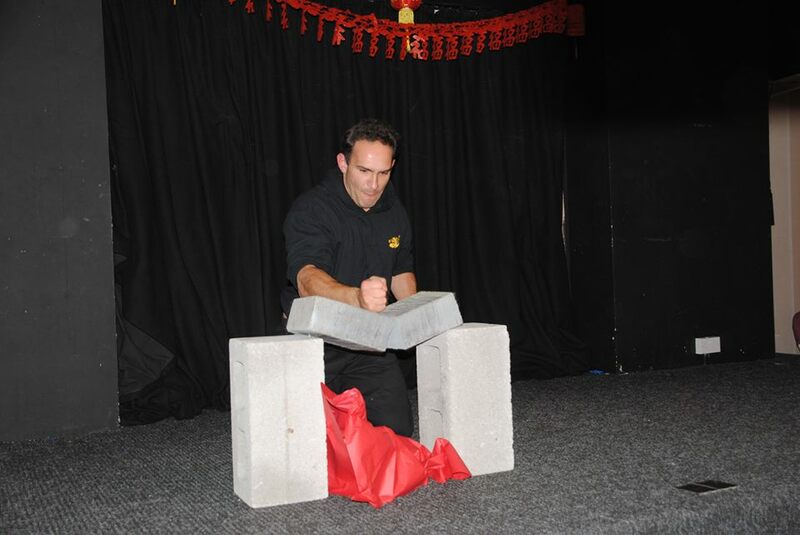 In this article I will briefly talk about different methods that various Pai (families) of Chinese martial arts use to develop strong hands and the ability to use them. Some Kwoons (schools) will focus on one method whilst some will use several. The method chosen often reflects the tactics and methods of a style. A style like Zi Men Quan (Character Fingers Boxing) will require strong fingers, whilst Ba Gua Zhang (Eight Diagram Palm) will be better served by developing the palm. Of course the indviduals prefered tactics also play a role. As with all training methods each practice has it strengths and weaknesses. For example a method that practices dropping the hand (such as the bag method) onto a striking surface is an excellent way to develop a relaxed arm and what Chinese boxers call ‘heavy hands’ but a practitioner of this method may find it hard to transfer to skill to a regular strike at an opponent in front of them due to the practice being one step removed from the application. Whereas someone who practices the ‘hanging sandbag’ method will find application easier but may still have unnescessary tensions. A well developed practice may have several stages to develop a rounded fighter (alongside all the other aspects of Kung fu required!). What follows are methods I have personally been exposed to, I am sure there are others. The most important thing about all these methods is they take time and effort! The Da Zhang (Hit post) has many variations in Chinese martial arts. It probably developed from tree striking (above). A post is fixed in the ground, usually with a little give and some kind of padding. It is struck with the various aspects of the hand. Most traditional Chinese arts have some version of the da zhang, for example Ba Gua Zhang practitioners place 9 posts in the ground stepping between them and striking them. These posts often evolved into ‘wooden men’ with wooden arms and legs replicating opponents limbs. Wing chuns wooden man is most known though there are many others – some schools of Choy Li Fut have ten different designs for wooden men. A Northern shaolin wooden man usually has a single wooden strut mimicking a straight punch and a hung gar ‘wooden man’ is a simple a post in the ground. Of course the most popular form of striking post is the Karate makiwara which forms the backbone of true karate striking. Practised correctly when struck the flex of the post gives feedback to the practitioner as it tests the postures readiness to take feedback and pass it into the feet. Early accounts of Kung Fu often refer to this as a foundational practice. It is also the one most similar to western boxing’s heavy bag training. A strong bag is filled with sand and hung up. The student then uses his styles techniques to repetitively strike the bag, either repeating the same technique of a short pattern/combination. Later on the bag may be filled with gravel or iron. There are many variations on this theme – tear drop bags for ‘shovel hook’ style techniques, bags fixed to striking posts etc. For example I am told SiJiHao grand teacher had four rugby balls hung at head height and filled with gravel which he used to develop a devastating spinning back fist. Wall bags (sand/gravel bags fixed to a wall) also come under this category but in my experience they have a tendency to develop a weak punch due to the lack of give causing the student to ‘pull their punch’. These methods (a form of Pai Da) use one hand to hit the other (take, for example, a powerful strong clap repeated a few hundred times) strengthening both of them at once. These methods are very useful as they require no equipment. They also get one used to hitting human flesh and bouncing off it – useful for deflections and instant follow up strikes Some styles (for example Southern Mantis) have partnered variations for example person A. uses a hammer fist to strike person B’s palms then they switch. These are useful exercises as they get you used to striking a person and you can help motivate each other; however you do need a reliable training partner at a similar stage in their development to you available on a daily basis, tough to find in this day and age! Some schools have methods which rely entirely on breath work and Qi Gong (energy development) practices to strengthen the hands without any ‘external resistance’ practices. I have met a few groups who practiced this way, though I have to say I have yet to be bowled over by their results! Above are the major methods of Hand Conditioning I have been exposed to. It is a fascinating subject with so much depth. If anyone knows a method that isn’t similar to the ones covered above I would love to hear from you in the comments section below! The next Iron hand article will cover ways of testing your iron hand development, and some common tricks charlatans use to con people into thinking they have stronger hands then they do. Till then, Train Hard, Keep Well, Chris The post Traditional Chinese Methods of Hand Conditioning appeared first on Tao Jia Martial Arts Manchester. Wow what a sudden bombardment of catergories and info. This section is all I’ve got through thus far and like the pawing approach, which until now I was unaware of. Definately going in my tool box! Do you have knowledge of how to make the specific Jow for the thrusting method or can normal Jow be heated? Thanks Chris, I will keep my eyes out for that one! I have recently seen an Iron palm method from Baji Quan where the practioner uses a bag similar to ones we use only longer. Their method is training both palms, knife hand and back of the hands simultainiously! Is this a viable method? It would seem that the vibration would travel up both arms and cease in the chest cavity which could cause possible problems! But this is only in my not so expeienced opinion. Sounds interesting, I Would of thought as long as both arms are relaxed then the feed back shouldn’t be getting stuck in the chest. Might be useful for conditioning in a short time but you miss out on the opposite hand power that you get when you do stage 3 Iron Palm which would be more important in my opinion. Ok thank you, it’s always good to have more experienced views on training. I don’t know if these practioners went on to Iron shot or not but it would make sense that you would lose power in your training from that respect. If the person is using their scapular/spine/hips/gua to open-close correctly it should be ok, but will not be as strong as using one hand and turning as well as closing/opening.